Are you looking for an alternative to braces? Dr. Tebbi can help with clear invisible align orthodontics. We have the solution to straighten your teeth without wearing braces so that you can show off your smile! 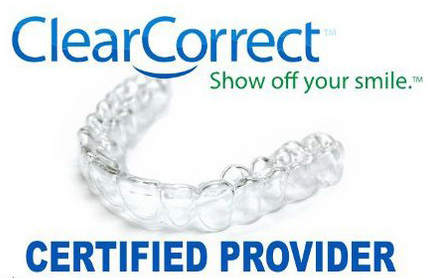 ClearCorrect is a braces alternative that uses a series of clear, custom, removable aligners. No wires. No brackets. Each aligner moves your teeth over time until you eventually get straight teeth and a smile to be proud of. 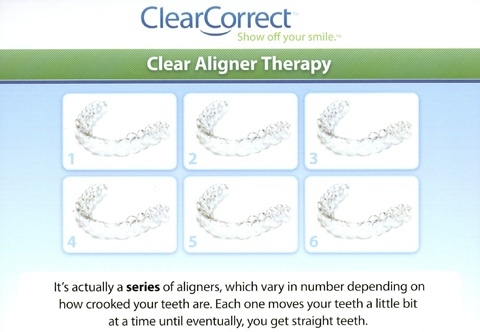 Invisible align orthodontics and ClearCorrect is the easy and discreet solution to align and straighten a broad range of conditions for a stunning, healthy smile. Come see if invisible align orthodontics, the alternative to braces, is right for you. Clear Corrcect’s invisible, removable, and comfortable aligners will give you the beautiful straight teeth you've always wanted. And best of all, no one can tell you're wearing them. Clear Correct is great for adults and teenagers. You'll visit us about once every 3-6 weeks to ensure that your treatment is progressing as planned.